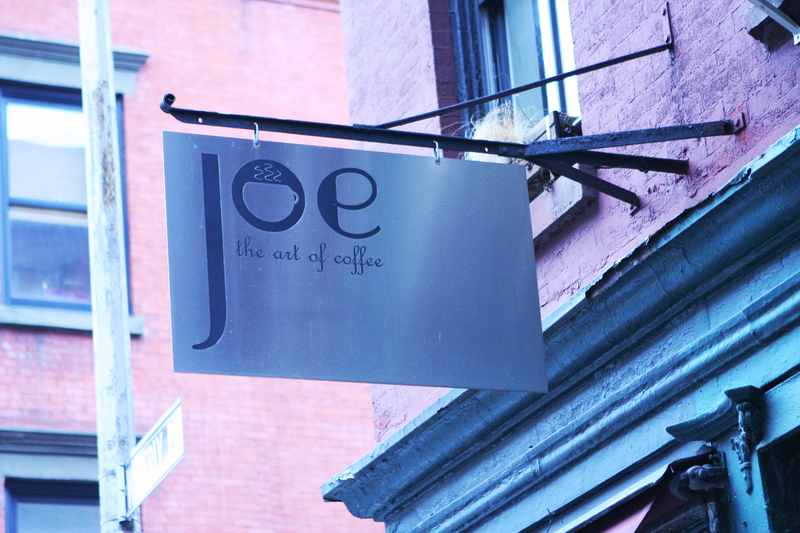 Fifteen years ago, Joe was just a twinkle in the eye of our founder, Jonathan Rubinstein. We asked him to share some of his memories. Jonathan Rubinstein at Cadillac House. Back in early 2003, as I was wandering the streets and dreaming of opening a coffee shop, I passed by a storefront on Waverly Place that seemed like the perfect first location for a yet-unnamed coffee shop idea—the top contenders were LatteLand and Two Cups!. It had a front patio, exposed brick, lots of windows and a banjo player strumming out front. I quickly called the number on the window and made an offer. 24 hours later, I was told the space, recently a dry cleaner, was mine and I set off on the adventure of a lifetime. Joe opened with the help of my immediate family, who became my partners. My mother played barista, my sister helped to manage, and my father did the books. 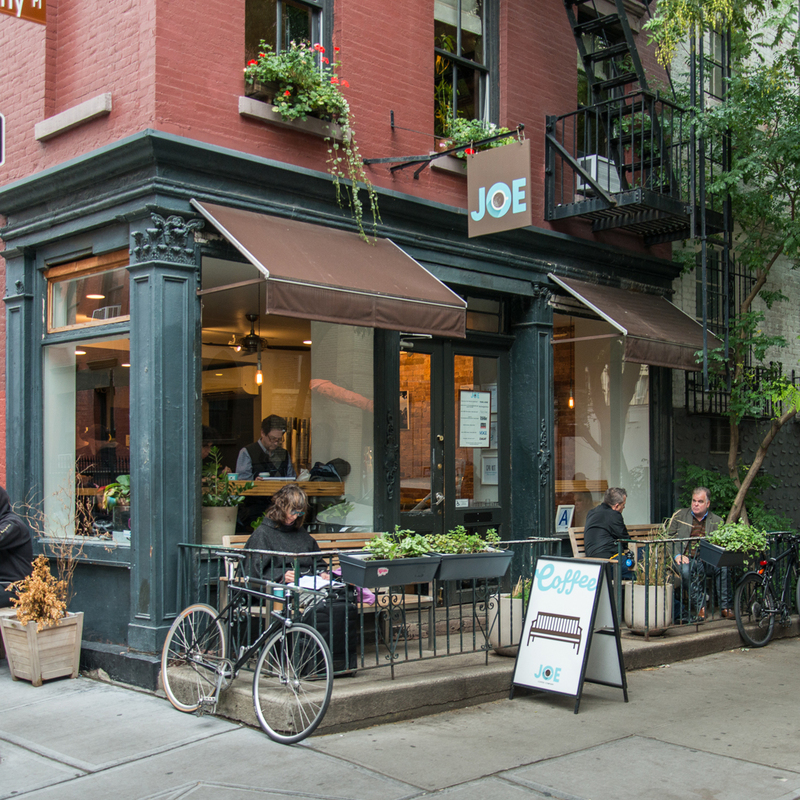 We knew almost nothing about coffee, but knew that it was near impossible to find a great cup in NY, even with its sophisticated residents and great culinary scene. We found a great roaster in Massachussets, threw ourselves into learning both how to make great coffee and how to run a business. We decided our competitive edge, which spoke to us as people, would be not just to serve delicious coffee but to make people feel good when they came in to our shop. I worked as a barista right up until my daughter was born at the beginning of 2009. 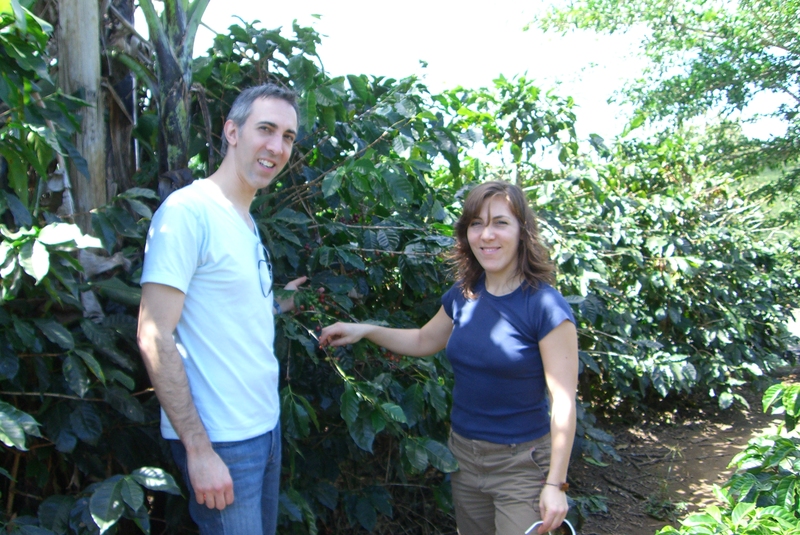 Jonathan and Gabrielle Rubinstein visiting coffee farms in Costa Rica, 2003. We learned most of what we know about coffee from Amanda Byron, who worked with Joe for the first dozen years of the business before moving back to the West coast. Amanda was the only person for probably the first six weeks we were open who could pour latte art. For the first year, because nobody else was pouring latte art in the city, people thought it was the rainbow bagel or something that no one had ever seen. There were a lot of people with actual cameras (because there were no cell phone cameras), asking if there was “definitely a toothpick” involved etc. 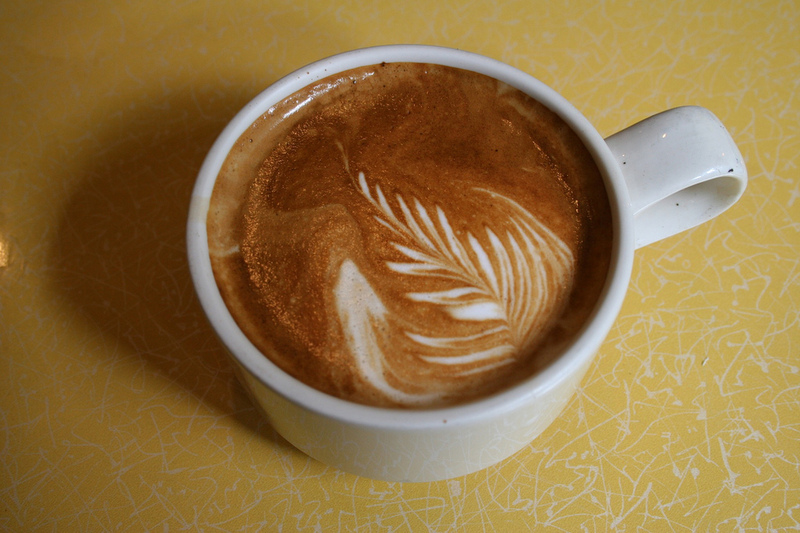 Our latte art was beginner latte art back then but everybody thought it was amazing. For the first few weeks we only opened our store when Amanda could work, because nobody else could pour latte art, including ourselves. And because there was nobody else to train us, except Amanda! Another one of our earliest employees was Miles Seaton, who went on to be successful with the band Akron/Family. Amanda Byron and Miles Seaton at Waverly Place. I think the first phenomenon of people talking about us was because Amy Sedaris used to bake our cupcakes. The week that we opened, Sarah Jessica Parker came into the store—I had known her a little bit in a previous life because I worked with Cynthia Nixon, and she was a neighbor, she lived in the Village. She said, “I have a friend, Amy Sedaris”—I had never heard of her—”Would you ever consider selling her cupcakes? Here’s her home number, tell her you’re a friend of mine. She likes to keep busy when she’s not filming.” So I called her, she came in, she lived a block or two away, and so she would basically bring in a tray of cupcakes, we’d hand her $12 cash, they always had some crazy decorative trinket that she used to collect. You’d never know if she’d come in seven days a week or if she’d disappear for three weeks, you didn’t know. She had such a huge cult following that people would hang around the store just to catch a glimpse of her, and then the phone would start ringing from all over the country. Eventually she got super busy and realized she neither needed the $12 nor was it a profitable business. 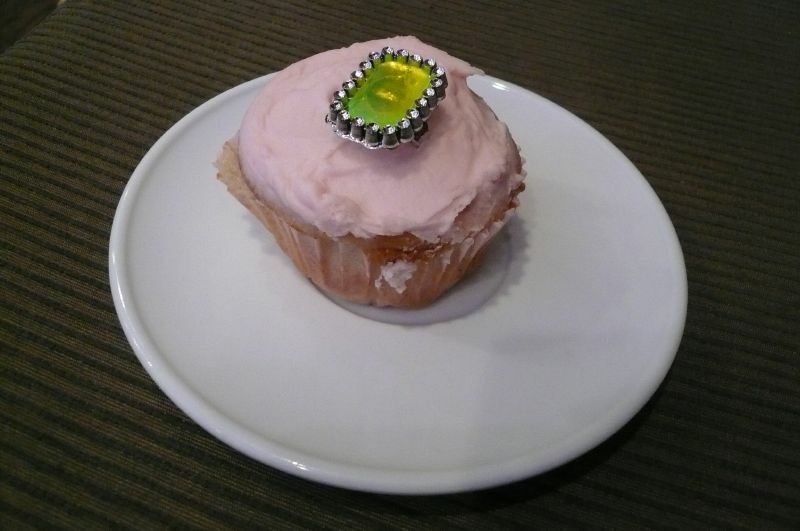 A typical Amy Sedaris cupcake purchased at Joe Coffee. Photo by k10_ on Flickr. I remember in the great power outage in August of 2003, we were only four weeks old. We didn’t have power, so all of our food was expiring and we didn’t know what to do. We were out in the streets handing out food, giving away gallons of milk, lending money to regulars because ATMs were out and you couldn’t get money, taking money out of the cash register. This was a pretty risky thing to be doing on only day 25 of being in business, but like all of New York City, we survived it. Old school Joe shingle. Photo by Andrew Schecter. It’s New York, so famous people have always come into the store—from David Schwimmer to Nancy Pelosi—and of course, Philip Seymour Hoffman was a longtime fixture at our Waverly Place location. Bill Hader’s character Stefon on Saturday Night Live is based on one of our baristas at 23rd Street. And the only time Rachael Ray came in, I was on bar at 13th street and she ordered a bagel. I was so nervous that while I was using one of those bagel-slicing guillotines, I pressed down too hard and the guillotine went flying and landed on her table, and her. There’s validation when admirable chefs come in, food people, it always gives us reason to feel good about what we’re doing. 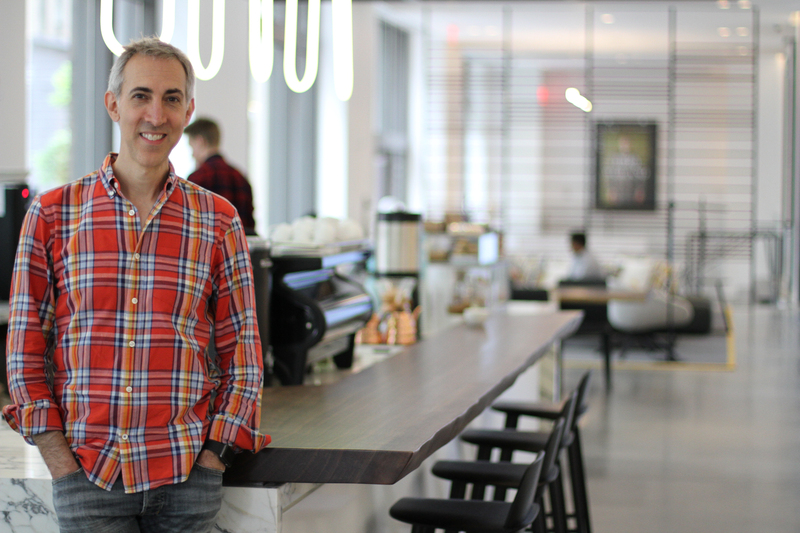 Danny Meyer is a good example because that’s how he first found us—by coming in for a coffee at Waverly Place. 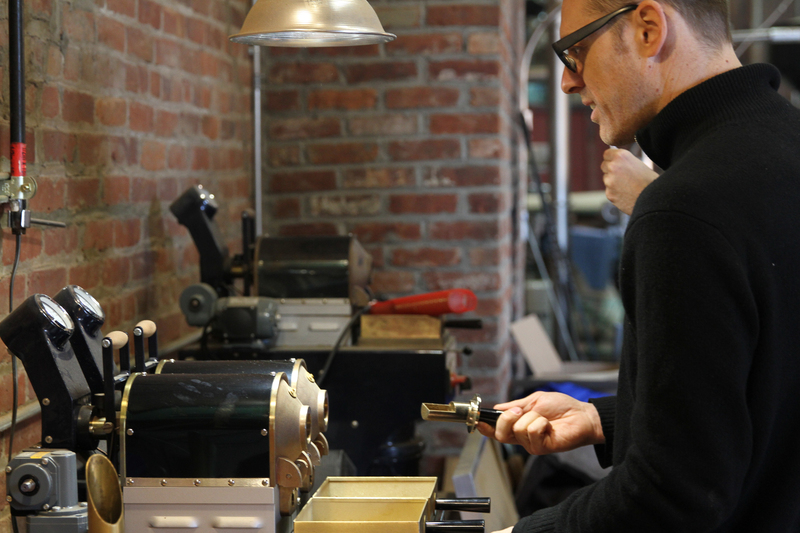 Ed Kaufmann sample roasting coffee at Pulley Collective. Our biggest successes were starting to roast, of course, and bringing Ed Kaufmann on board when the whole idea of roasting came bout. 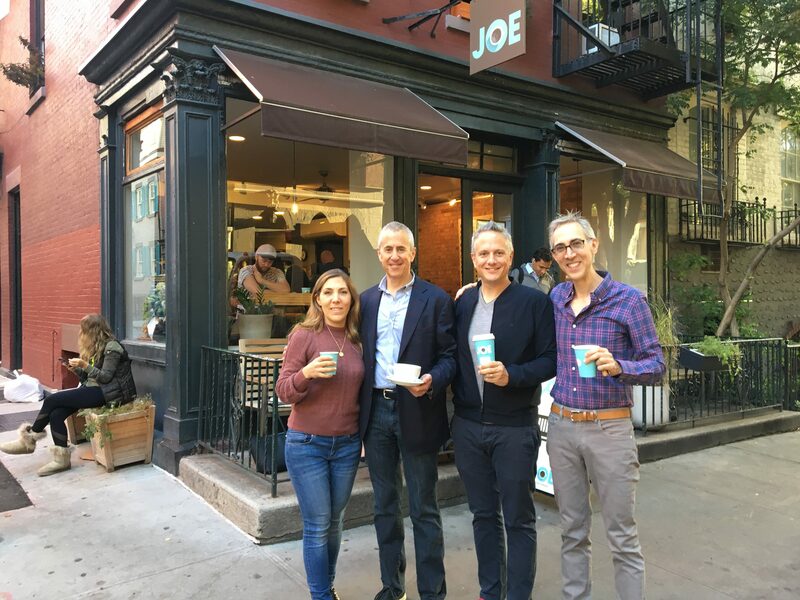 Ed was a friend and one of the very few coffee professionals living in the city at the time and he said “I want to join your family.” Now, when we take stock, we have 260 people whose jobs are Joe, which feels really good. 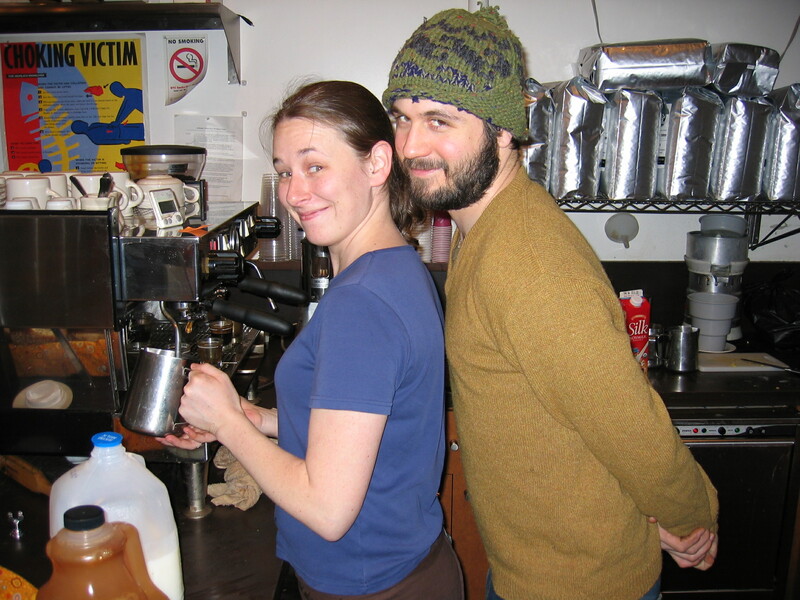 If we look at our alumni of probably the couple thousand people who’ve worked here, so many have stayed in coffee, that feels really good too. Meister, Will Gross, Brendan Mullally—I could list a ton of really important industry people who’ve gone on to great careers in coffee or who won their own shops. To foster their beginnings in coffee, and to pioneer great coffee in new neighborhoods, that feels really good. That—and looking forward to everything yet to come.